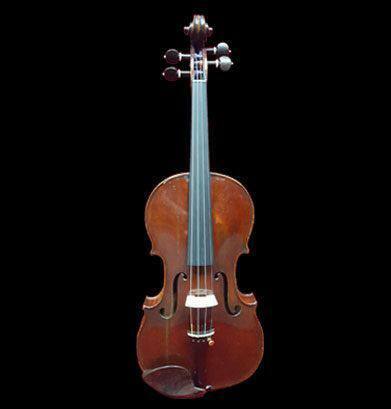 Fine antique french violin made after Didier Nicolas Ainé by the Justin Derazey workshops in Mirecourt circa 1880. Honoré and justin Derazey purchased the Didier Nicolas Ainé brand from the widow of Nicolas, and used it in their workshop as a model, including the original Didier Nicolas fire brand. 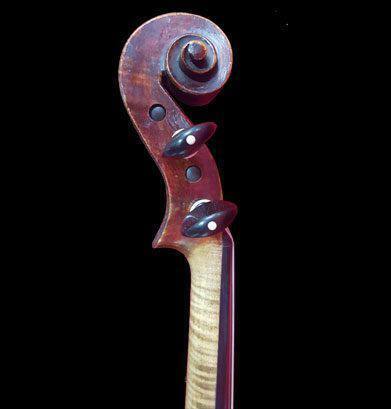 This violin is one of these instruments, following exactly the outline and f-holes invented by Didier Nicolas, and covered by a red ruby varnish quite different of those used by the original maker. The top is made of two parts of spruce and shows regular wide grain lines. The back is made of a single piece of nicely flamed maple. The ribs, neck and head are of the same, original wood. 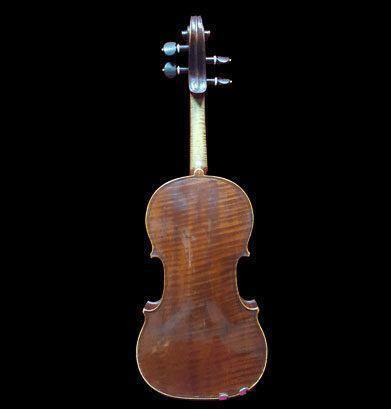 The violin is in a restored condition. 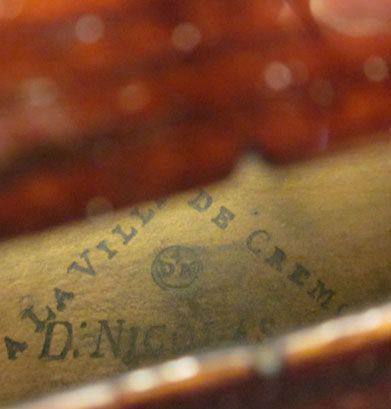 On the inside, back can be found the original Nicolas Ainé fire brand, “A la Ville de Cremonne, D. Nicolas Ainé” with “DN” in a circle including the number 4. On the lining inside the left rib can also be found the fire brand of the Justin Derazey workshop, “A Mirecourt”. The violin is guaranteed 100% authentic. The violin has been entirely restored and set-up, including a new set of rosewood & bone pegs, a rosewood tailpiece with bone fret, a rosewood chinrest, a Despiau bridge, titanium chinrest clasps, and Thomastik Dominant strings.